A treatment in Hévíz not only serves medical purposes, but is beneficial for prevention and relaxation as well. Adapting to the growing needs of the guests, the lovers of wellness and healthy living may also choose from a wide range of facilities. Rush. This is the world which best describes our lifestyle today. That is why people need to escape from their usual environment from time to time to relax in a peaceful atmosphere where they are pampered by professional and caring hands. Hévíz offers its guests a possibility for getting refreshed, active and passive relaxation alike all the year round. Time halts in Hévíz, the body relaxes by the smothering touch of the thermal water, and people gain new energies. Water is of major importance in Hévíz as it has medicinal power. “If you are having a bath, do it with a calm and cheerful spirit,” says Hippocrates. 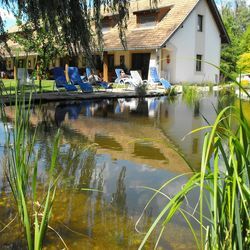 The warm thermal lake is a special feature of Hévíz, which forms appropriate grounds for every kind of treatment and cures. If you come either for a longer holiday or for a shorter wellness relaxation, you must not leave without having a bath in the thermal lake of Hévíz once at least, and without integrating bath treatments into your tight schedule. Visitors to the town may select from a wide range of facilities, those who prefer warm water bathing less may try pleasure or thermal pools or swimming-pools that are available at various service providers around the town. However, wellness refreshment does not only mean bathing, but also includes active sports. Most of the physical sports activities on offer may be done in the open-air in nature, for example hiking, biking, Nordic walking, horse riding, golf and tennis, or the water-related aqua jogging and aqua fitness. 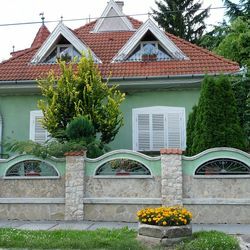 A holiday in Hévíz provides great opportunities for the lovers of passive refreshment to try different relaxation techniques like alternative Eastern body cultures (tai chi, yoga, 5 Tibeti). Wellness feeling also includes beauty care today. 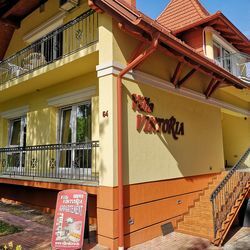 The facilities offered by the service providers are so divers and peculiar, and the applied procedures and techniques are of so high-quality that it is not rare for our guests to escape from the rushing weekdays and stay for a beauty weekend in Hévíz. Could you imagine that a “wellness holiday” might include a medical examination, survey of your state of health and a preventive treatment adapting to your state? 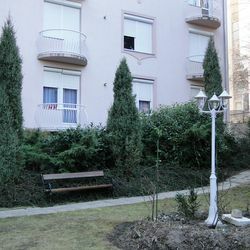 Hévíz and its personal, natural and material features provide excellent grounds for medical wellness. Medical wellness means a treatment that is supervised by medical doctors. Read Wellness ABC to learn about all the treatments which are available even for you during a wellness holiday in Hévíz. Find the most appropriate ones for you by selecting from the offers of our service providers. word originates from the words „well being”, and „wholeness”? which started in the 1980’s from America?